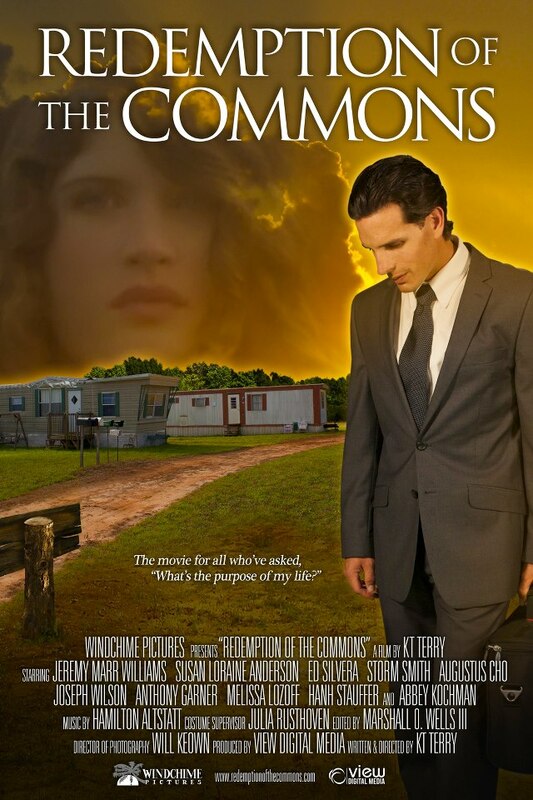 I loved Redemption of the Commons, and the story behind the movie is every bit as interesting as the movie itself. 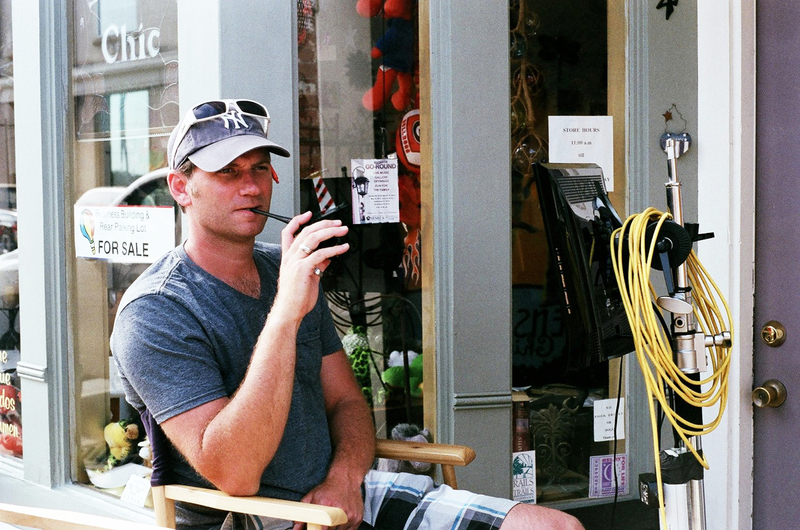 Utilizing his film degree and his experience working on Hollywood sets, KT Terry accomplishes the task of making a small town movie with a big budget feel. I think I’ve always had an interest in film ever since I was a young child. I can vividly remember sitting in front of my record player and listening to the movie soundtrack of The Good the Bad and the Ugly. I would listen to that music and just dream up movie scenes. I think ever since then, I’ve been compelled to be in the movie industry in some manner. However, I always wanted to be an actor – until I realized I wasn’t any good at acting. I guess you never know how life is going to turn out. 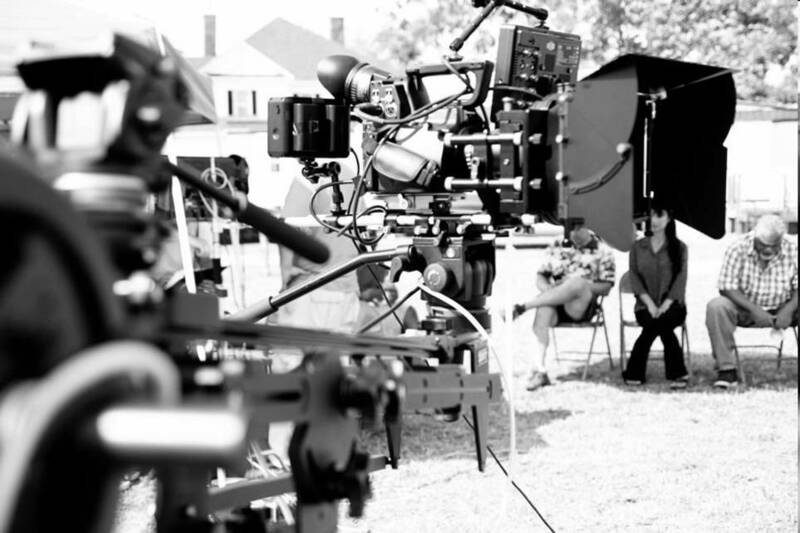 What impact did your L.A. experiences have on you as a filmmaker? My time in LA was very pivotal in my pursuits of being in the entertainment industry. However, I don’t think it’s necessary for someone to live in Los Angeles or New York to make a film. We’ve seen lots of examples of people who have lived all around the world and have made great films. Nevertheless, I would say that being in LA gave me a great opportunity to be on movie sets, TV sets, work with actors, work with writers, work with directors and just get a great crash course on what it is like to be on a set. To be honest, those times on the set were actually very humbling. My first few gigs in LA were either being an extra on a movie set or being a production assistant on a television show. All of this happened right after I graduated with a master’s degree and there I was working as an extra and working as a production assistant. There wasn’t anything glamorous about it. However, it was a huge opportunity for me to be able to see firsthand what it’s like to be on a movie or television set. What I learned from those opportunities I took with me in making Redemption of the Commons. I also spent a lot of time just by myself in front of a computer hammering out scripts. That too is a humbling, and many times lonely, job. I say job, but I wasn’t getting paid. I would just work countless hours at my home office or in a coffee shop trying to punch out a script in hopes that someone would want to make it. The first script I wrote, entitled Masada, was optioned by a very popular writer in Hollywood so that gave me a little more drive to keep on writing. 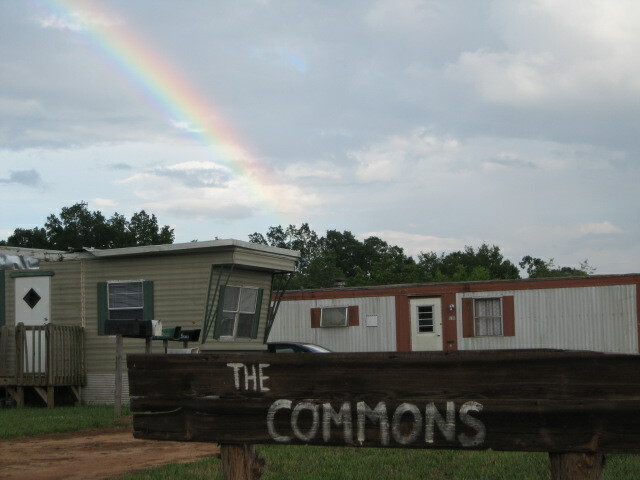 What inspired you to write Redemption of the Commons? The thing that inspired me to write Redemption of the Commons can be summarized by me just saying that I just felt called to do it. It seemed a little crazy to most people when I moved 2500 miles away from Los Angeles to a small town in South Carolina in order to become a pastor as well as write/direct a film. Nevertheless, I felt that this was what I was supposed to do – so I did it. I spent lots of hours, days, weeks, and months hammering out a script that I felt could be made on a small budget and in a small town – and ultimately we were able to get it done. I also feel like I can connect very well with the main character, Victor, in the movie. I feel like all of us at some point in our lives have gone through a time of failure. I think that’s why this film touches so many people is that they can all identify with Victor and his pursuit of chasing his dream. What was the greatest challenge with being a pastor making a movie? The greatest challenge with being a pastor and making a movie is trying to do both of those things well. Both of these callings take a great deal of time and with me being a bit of a perfectionist I feel like I want to do them very well. Nevertheless I never felt that these two callings were in conflict. I think being the one makes me better at doing the other. It also helps that I have a church family that is very supportive of me being a filmmaker. How did you see the hand of God in helping you make the movie? I definitely saw God’s hand throughout this whole production. From pre-production all the way to post-production he made ways where there were no ways to be made. I can remember vividly that we had three days left of shooting. I was exhausted and we were still in need of $20,000 for the film to be finished. I heard a knock at the door and I decided not to answer it – thinking that it was just the regular mail delivery. Then I heard a friend’s voice outside, opened the door and invited him inside. He went on to say that he felt that God was prodding him to contribute to the film. I was excited about that however I must be honest I thought that it was just going to be a check for 100 or 200 towards the film. Yet, I was in disbelief when he handed me a check for 20,000 – the exact amount that we needed to finish the film. There are countless other examples of this type of provision that can be found on our website (within the media guide). 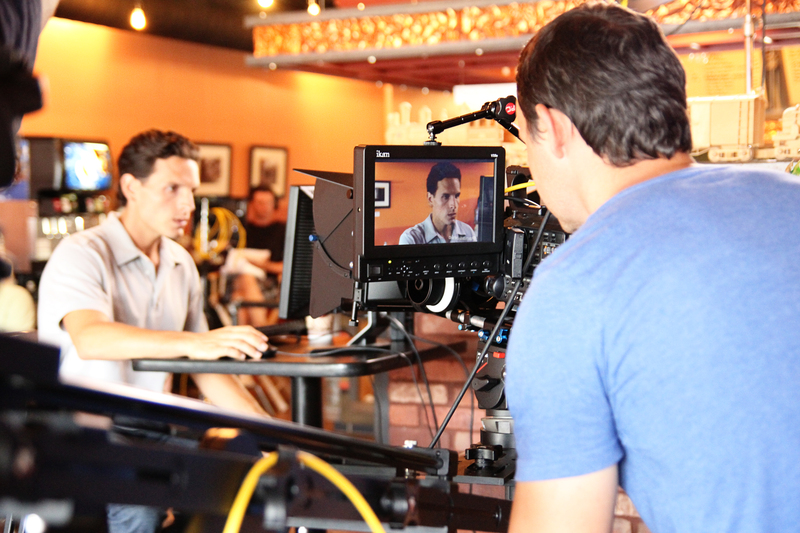 When it came to our cast and crew we utilized online casting calls and had some very talented actors submit. With this being a micro budget film, I had to wear many hats. One of those hats was being the casting director. Yet, being the writer and director also allowed me a great understanding of the type of characters that I was looking for. It also helps that I spent a lot of time in Los Angeles doing some acting work so I had a good idea what the actors would need from me and what I would need from then. In the end I feel like we got the perfect cast who really brought the story to life. 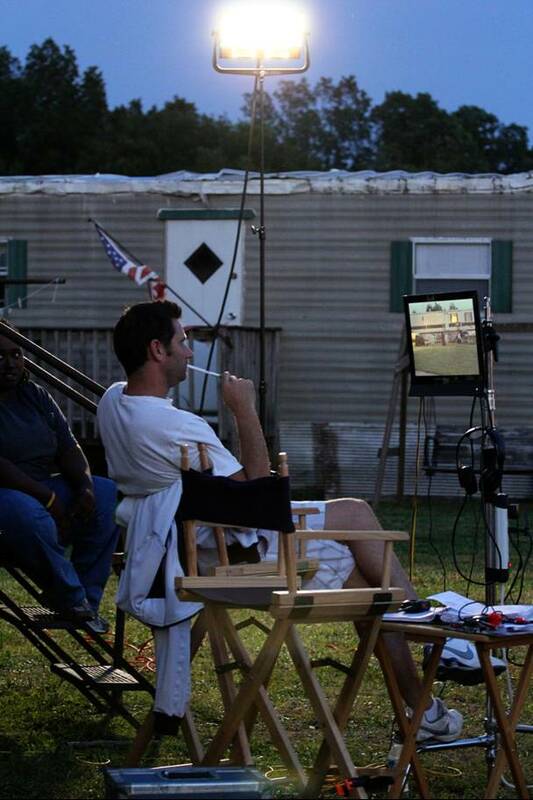 Tell us about the process of preparing the trailer park set. Constructing the trailer park was a huge task. Many people are surprised to discover that the trailer park where we filmed was actually a movie set that we constructed. We knew that we would need a secluded spot to shoot and so we decided to make one on our own. It was a grueling task of preparing the field moving in the trailers that we found on Craigslist as well as doing set decoration for all of the trailers. We had several people and family members who chipped in to help decorate all of the trailers. Everything that you see on the screen was either donated or picked up at a thrift shop in order to create the realism needed for the film. Trying to determine which scene is my favorite is similar to trying to determine which of my children is my favorite. They all are important to me as I spent a great deal of time thinking through them as a writer as well as a director. However if push came to shove and I had to say which was my favorite part of the film, it would be the concluding montage. I love how all of the stories come together in a way that none of the characters would have expected. They come to a place where they see that God was in control and had a good plan for their lives. I also love the music that was done by Carol Strickland who wrote the song “Praying for Sunshine”. It seems like the most perfect song to have during the montage. What are your goals for Redemption of the Commons? Our goals for the film are to have the film shown in regional theaters in the Southeast, and it looks like we will have some success in doing that in early November. We’re also excited that the film will be released worldwide on DVD on November 20th of this year. The film will also be available for rent and for download on online sites like Google Play, Vudu, xbox, iTunes and Amazon. The plan is also to allow Redemption of the Commons to be a stepping stone for the next film that Windchime Pictures will produce. We are currently in development on our next project and hope to announce the shooting dates for that sometime next year.